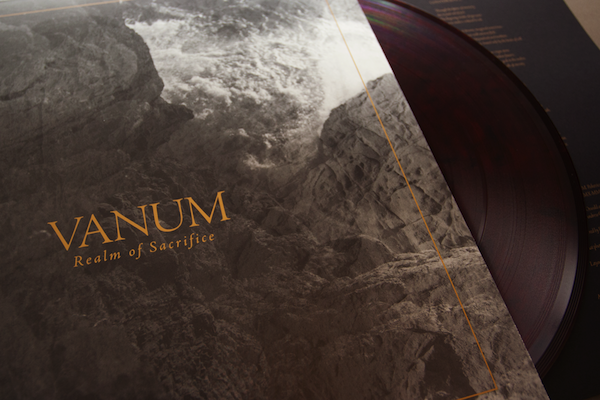 Realm of Sacrifice, the debut album by VANUM (K.M. of Ash Borer // M.R. of Fell Voices), is now available on LP format through our closely-affiliated Psychic Violence Records imprint. It is currently available on limited edition translucent red vinyl as well as 180 gram black vinyl.